Gather a group of your closest friends, family, or coworkers to enjoy America's Pastime with one of our exciting Group Packages here at SRP Park in our Inaugural Season in 2018! With a group of 20 or more, your business, school, church, club, organization or sports team can experience a memorable night of camaraderie during a GreenJackets game at a discounted rate. Each group will also receive in-game recognition over the public address system and on the video board as well as a free game program for each member. Like to enjoy a hot dog and soda while watching ballgames? A Food Voucher can be added to each ticket that includes a hot dog, chips and a drink for only $6 (a $10 value)! 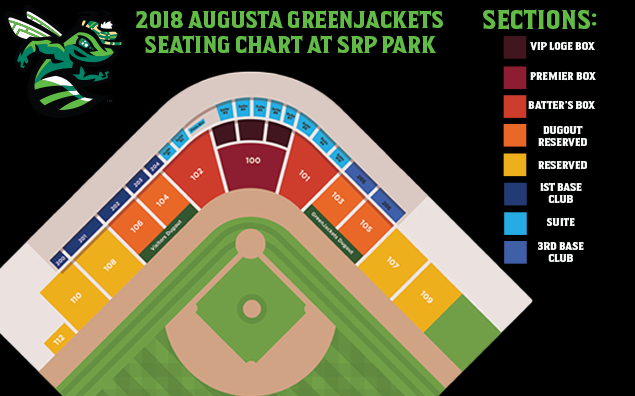 With our Group Package opportunities, there's no better place for your family, company or organization to host a group outing than at a GreenJackets game at SRP Park! Join all the fun and excitement and see for yourself why groups from across the CSRA are enjoying GreenJackets games each season!